The following is an extended quote from Chapter One of the late, great Austrian economist Murray Rothbard’s book, “An Austrian Perspective on the History of Economic Thought”, from a section entitled “Taoism in Ancient China”. The only other body of ancient thought worth mentioning is the schools of political philosophy in ancient China. Though remarkable for its insights, ancient Chinese thought had virtually no impact outside the isolated Chinese Empire in later centuries, and so will be dealt with only briefly. The three main schools of political thought: the Legalists, the Taoists, and the Confucians, were established from the sixth to the fourth centuries BC. Roughly, the Legalists, the latest of the three broad schools, simply believed in maximal power to the state, and advised rulers how to increase that power. The Taoists were the world’s first libertarians, who believed in virtually no interference by the state in economy or society, and the Confucians were middle-of-the-roaders on this critical issue. 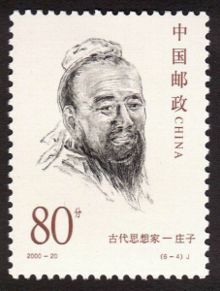 The towering figure of Confucius (551 — 479 BC), whose name was actually Ch’iu Chung-ni, was an erudite man from an impoverished but aristocratic family of the fallen Yin dynasty, who became Grand Marshal of the state of Sung. In practice, though far more idealistic, Confucian thought differed little from the Legalists, since Confucianism was largely dedicated to installing an educated philosophically minded bureaucracy to rule in China. 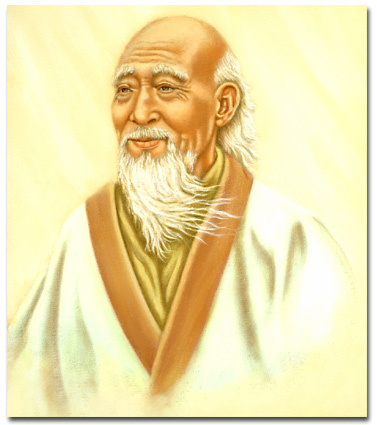 Deeply pessimistic, and seeing no hope for a mass movement to correct oppressive government, Lao Tzu counseled the now familiar Taoist path of withdrawal, retreat, and limitation of one’s desires. A thousand ounces of gold is indeed a great reward, and the office of chief minister is truly an elevated position. But have you, sir, not seen the sacrificial ox awaiting the sacrifices at the royal shrine of state? It is well cared for and fed for a few years, caparisoned with rich brocades, so that it will be ready to be led into the Great Temple. At that moment, even though it would gladly change places with any solitary pig, can it do so? So, quick and be off with you! Don’t sully me. I would rather roam and idle about in a muddy ditch, at my awn amusement, than to be put under the restraints that the ruler would impose. I will never take any official service, and thereby I will [be free] to satisfy my own purposes. Chuang Tzu, moreover, was perhaps the first theorist to see the state as a brigand writ large: “A petty thief is put in jail. A great brigand becomes a ruler of a State.” Thus, the only difference between state rulers and out-and-out robber chieftains is the size of their depredations. This theme of ruler-as-robber was to be repeated, as we have seen, by Cicero, and later by Christian thinkers in the Middle Ages, though of course these were arrived at independently. Where knights and hosts could not be assembled there was no warfare afield … Ideas of using power for advantage had not yet burgeoned. Disaster and disorder did not occur. Shields and spears were not used; city walls and moats were not built … People munched their food and disported themselves; they were carefree and contented. Disputes among the ordinary people are merely trivial matters, for what scope of consequences can a contest of strength between ordinary fellows generate? 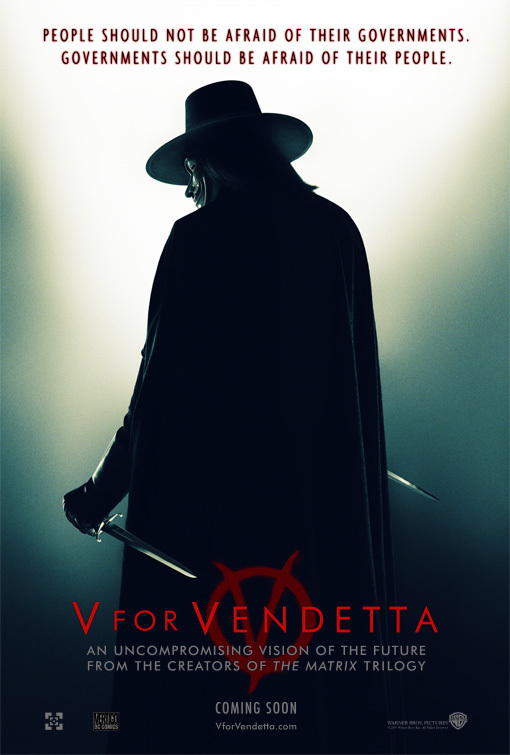 They have no spreading lands to arouse avarice … they wield no authority through which they can advance their struggle. Their power is not such that they can assemble mass followings, and they command no awe that might quell [such gatherings] by their opponents. How can they compare with a display of the royal anger, which can deploy armies and move battalions, making people who hold no enmities attack states that have done no wrong? Pao Ching-yen also engaged in a masterful study in political psychology by pointing out that the very existence of institutionalized violence by the state generates imitative violence among the people. In a happy and stateless world, declared Pao, the people would naturally turn to thoughts of good order and not be interested in plundering their neighbors. But rulers oppress and loot the people and “make them toil without rest and wrest away things from them endlessly.” In that way, theft and banditry are stimulated among the unhappy people, and arms and armor, intended to pacify the public, are stolen by bandits to intensify their plunder. “All these things are brought about because there are rulers.” The common idea, concluded Pao, that strong government is needed to combat disorders among the people, commits the serious error of confusing cause and effect. The only Chinese with notable views in the more strictly economic realm was the distinguished second century B.C. historian, Ssu-ma Ch’ien (145-c.90 BC). Ssu-ma was an advocate of laissez-faire, and pointed out that minimal government made for abundance of food and clothing, as did the abstinence of government from competing with private enterprise. 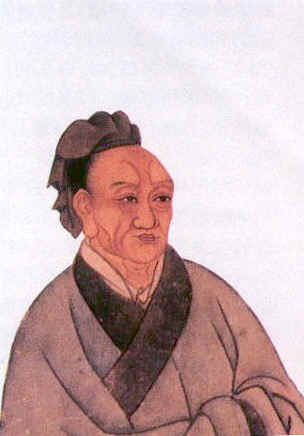 This was similar to the Taoist view, but Ssu-ma, a worldly and sophisticated man, dismissed the idea that people could solve the economic problem by reducing desires to a minimum. People, Ssu-ma maintained, preferred the best and most attainable goods and services, as well as ease and comfort. Men are therefore habitual seekers after wealth. Each man has only to be left to utilize his own abilities and exert his strength to obtain what he wishes … When each person works away at his own occupation and delights in his own business, then like water flowing downward, goods will naturally flow ceaselessly day and night without being summoned, and the people will produce commodities without having been asked. To Ssu-ma, this was the natural outcome of the free market. “Does this not ally with reason? Is it not a natural result?” Furthermore, prices are regulated on the market, since excessively cheap or dear prices tend to correct themselves and reach a proper level. But if the free market is self-regulating, asked Ssu-ma perceptively, “what need is there for government directives, mobilizations of labor, or periodic assemblies?” What need indeed? Finally, Ssu-ma was one of the world’s first monetary theorists. He pointed out that increased quantity and a debased quality of coinage by government depreciates the value of money and makes prices rise. And he saw too that government inherently tended to engage in this sort of inflation and debasement. I have a question that is so far unanswered. I know it is my own fault, for I did not take note of the source, when I read many years ago, of a large Chinese Naval Fleet seen off the coast of The Lizard Cornwall England during the fourteenth century. I have confirmed the existence of such a fleet at that time, but Chinese records apparently state they did not pass the southern tip of Africa at that time. Any answers? What is all this approval business? Tis but a simple question and fairly put! Is your method always so tediously slow and laboured? All this messing around with typing in those annoying words is very off-putting. Come-come now, for the clock is ticking and I am already bored! Forget it, for life is too short! Another thing… Governments do not cause strife among their own just for the sake of it. Government is very much part n parcel of Anglo-Saxon heritage n life, as is democracy. Governments present possibilities for peace n harmony, both within n without the state. After mankind settled into an agrarian existence he soon came under threat from the less capable Nomadic types who resorted to plunder. Also when the many great famines occurred neighbours coveted their neighbours supply, so challenges arose leading to organised conflict. The better organised will always survive any conflict with the less well organised, subject of course to some useful natural boundaries afforded by high mountains n deep rivers.